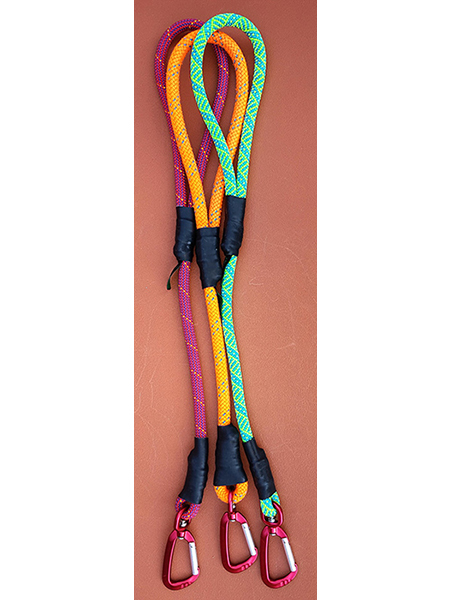 Unique upcycled dog leashes locally made from discarded climbing rope. 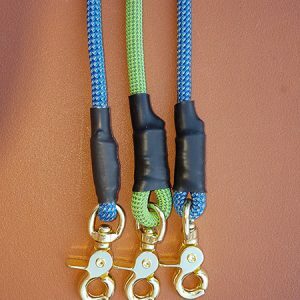 Finished with high-quality metal hardware and marine-grade thread, and heat shrunk. 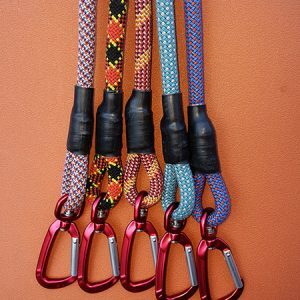 22 inches of recycled climbing rope with a carabiner clip. Best for big dogs only.